Build partnerships with institutions in the United States who share similar goals. Set up services which when fully operational would benefit generations to come. Launch the pilot program in Umuezeaga, an autonomous community in the town of Akokwa. 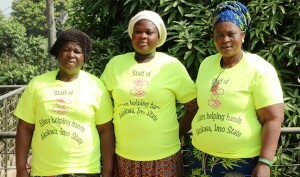 Once operational, this program will become the model for other Elders Helping Hands chapters throughout Nigeria. YOU can help us achieve these goals by making a tax deductible donation.